She released her debut album at twelve years of age, and had formed a music group at thirteen. 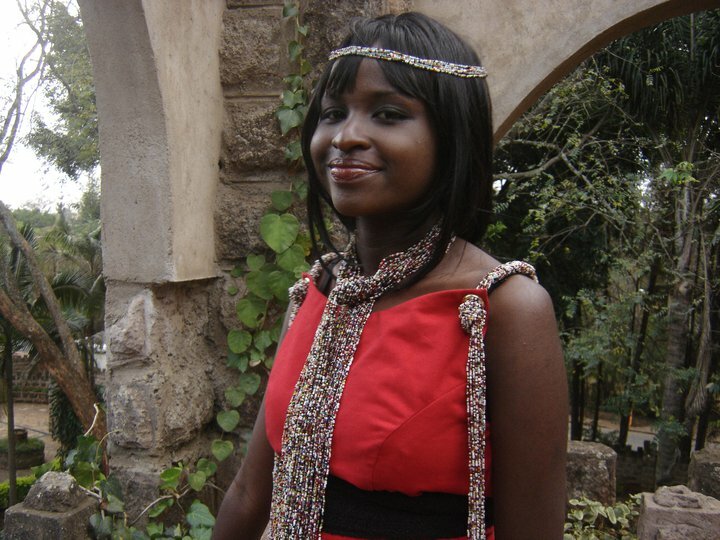 Her sophomore album followed in form one, and she was appointed choir director for Machakos Girls High School. Disarmingly shy and soft-spoken but powerfully gifted vocally, Mercy Masika is no ordinary lady. Mercy speaks of her gift matter-of-factly, pointing out that she has always known that God called her to be a singer. She credits her early interest in music to her parents, especially her mother, Agnes Masika, herself a singer. Agnes was the face of that KBC programme of yore, Sing And Shine. Through this involvement, Mercy and her siblings were introduced early to shows like Joy Bringers, where they performed severally. It was therefore no surprise when in class 6, Mercy insisted on producing her first album. Titled Nobody Like Jesus, it featured her mother and Hellen Mtawale. Driven by this feat, Mercy went ahead to form a singing group the next year, and with it came a platform for preaching and presenting her singing talent to the world around her. This would continue into high school, and culminate with the release of her second record, Roses Will Bloom Again. This one featured and was produced by Reuben Kigame. But it was not until she joined Daystar University in 2002 that her gift as a worship artist really began to grow, buttressed by the abundance of opportunity and talent in the school. This year saw her meet up with producer Robert “R Kay” Kamanzi for the production of the album that propelled her to national limelight, Wendo Waku. Done largely in Swahili and her native Kamba, the album was quite a challenge for Mercy. She says: “It was a new experience for me, having to write most of the songs myself. Apart from that, the songs were born out of personal experiences – I find it hard to sing about something I don’t feel.” That album contained hits such as the catchy Kamba tune, Amokomete and that stellar repentance song, Nisamehe. Wendo Waku also served to propel Mercy onto the Gospel scene as a credible worship artist with a distinctly Kenyan identity. Yet after the release of this exceptional work, Mercy disappeared from the recording scene. She concedes that these years have been a time of growth for her, finding her footing and preparing for the next level in her career. That next level is her fourth album, and she’s embracing even greater challenges. The yet to be titled project includes songs in English and Swahili, and is, as would be expected, a worship album. An early 2008 release is anticipated.mercy masika Although her musical run looks rather effortless, it has not been without the common challenges that face every recording artist. Mercy warns up-and-comers to have their focus in the right place, and their minds set on what they want to do. “People will always try to take advantage of you…you have to know how to manage your career, how to make your way” She underscores the importance of having strong support systems, which for her include her parents, siblings and pastors. It would be not be an overstatement to say that Mercy’s life is and has all been about music. Now all grown up, Bishop Masika’s daughter has her eyes set on the world music platform (and hints of being a preacher). Says Mercy: “I believe that Africa has a lot to offer to the world. I want to hear songs of praise rise out of Africa. I want to a voice of praise and worship in this land. I want to be Africa’s own Martha Munizzi.” There’s no doubt she has every intention of making this dream happen. She can do it, too.